The original My Hero Academia is the top-selling manga series in America right now, thanks to its mix of superheroes and the shonen manga tropes of friendship, fighting, and fanservice. The spinoff My Hero Academia: Vigilantes takes a similar set of ingredients and whips them up into a different, but equally satisfying, story—one that can be enjoyed independently of the original. In the world of My Hero Academia, many people are born with superpowers, a.k.a. "quirks," but only a few make the cut to be superheroes. Others use their powers to become supervillains, and a few just slog along in neither role. That’s the territory that Vigilantes explores. One of the things that makes both these series fun is that most quirks are pretty unimpressive. Koichi, the main character of Vigilantes, has a quirk called "slide and glide": He can slide quickly across the ground if he makes three points of contact, which means, effectively, he has to be on hands and knees to use it. That’s not a superhero-grade quirk, but since he’s determined to do something with it, he gamely dresses up as Nice Guy and does good deeds such as returning lost items and correctly sorting recyclables. Even so, he’s breaking the law, because only approved superheroes are supposed to use their quirks. Koichi soon finds himself thrown together with another unsanctioned quirk user, Pop Step, who can leap so high she’s almost flying and uses her special power—and her looks—to attract audiences to her guerilla performances. When the two of them get into trouble, a stranger intervenes: Knuckleduster, an old-school tough guy who is hunting down people who use an illicit drug to enhance their quirks. 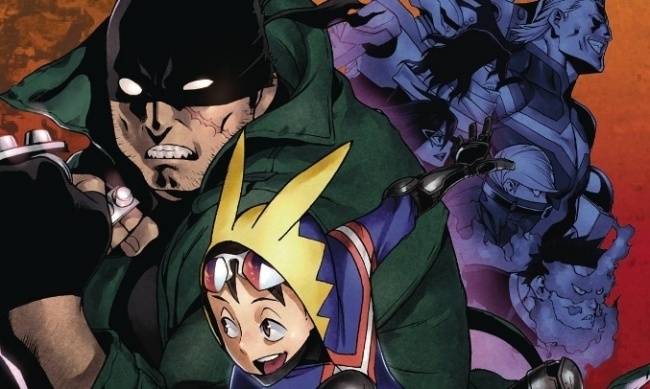 The obvious audience for My Hero Academia: Vigilantes is fans of the original series, but I’d nudge this toward anyone who enjoys a good alt-superhero comic. The creators are clearly having a lot of fun with the whole concept, and there are some not-terribly-subtle homages to American comics characters among the cast. 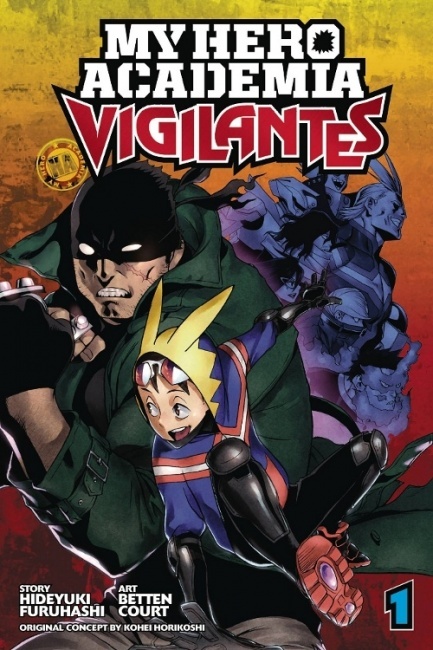 It’s also a good pick for any shonen manga fan, because while some of the characters from the original series drop in from time to time, My Hero Academia: Vigilantes stands very well on its own—as any vigilante would expect to do.